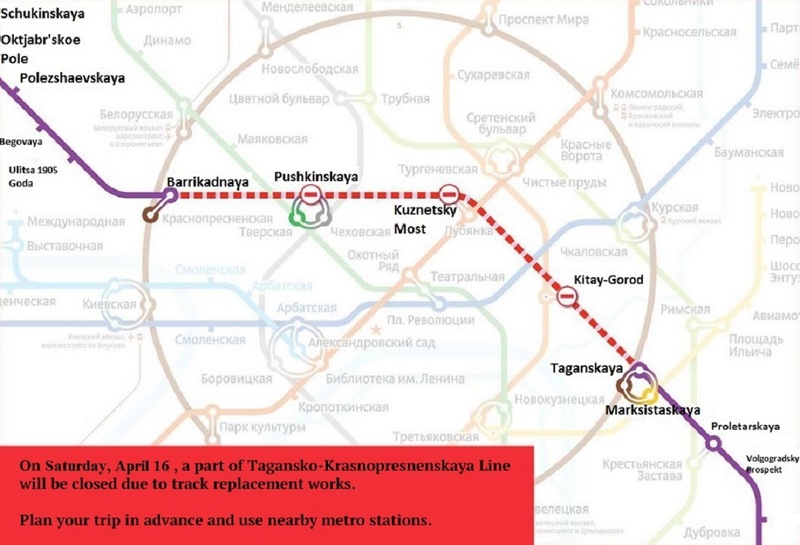 A part of Filevskaya (light blue) metro line from Alexandrovsky Sad to Kievskaya stations will be closed on June 27 for one day due to scheduled repairs. On this day, passengers will not be able to enter and exit Smolenskaya, Arbatskaya and Alexandrovsky Sad stations. 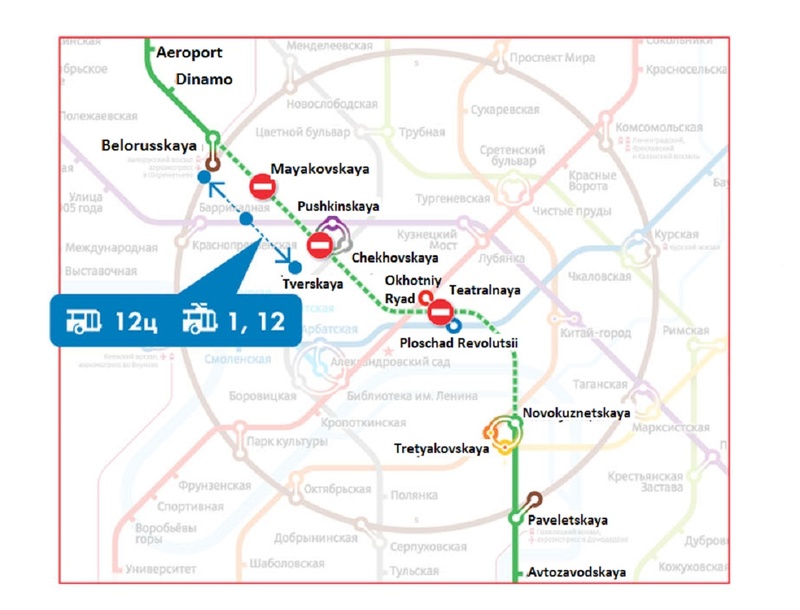 Trains will run only from Kievskaya to Kuntsevskaya and from Kievskaya to Mezhdunarodnaya stations. Kievskaya will be a terminal station with transfers to Arbatsko-Pokrovskaya and the Ring lines. Work of the closed stations will resume on Sunday, June 28, in 5:30 am. Passengers are recommended to use nearby stations – Smolenskaya and Arbatskaya stations of Arbatsko-Pokrovskaya line, which are at a very short distance from the closed stations. Earlier, the head of the Moscow Transport Department Maxim Liksutov reported that these measures would further improve safety and increase the comfort of passengers. Repairs are carried out within a day in order to minimize passengers’ inconvenience. 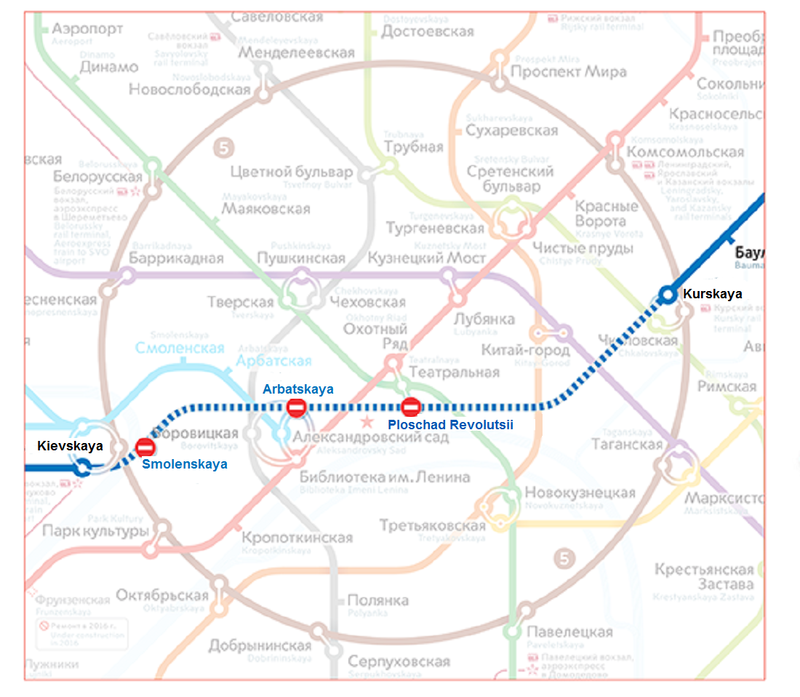 It is also planned to close Filevskaya line for two years in order to make an overhaul reconstruction. The repairs project of the blue line should be ready in 2015.